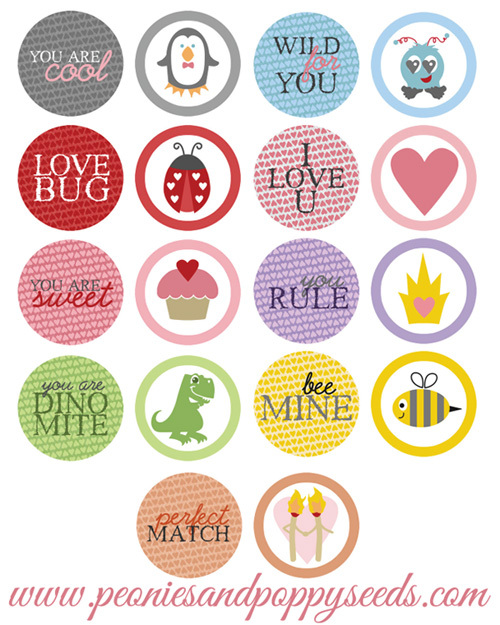 This kind of magnet is so easy to make - just print and cut out the circles, use rubber cement to attach them to the backside of craft pebble jewel thingy, and hot glue on a magnet. I hardly doubt it could be easier. 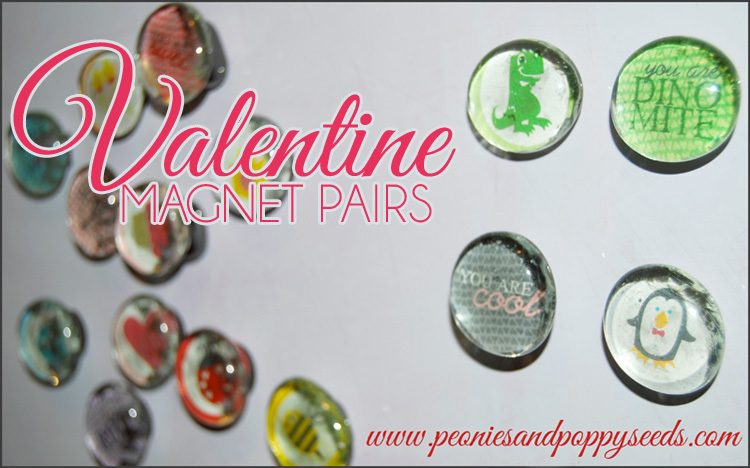 And you'll love these magnets because they come in cutesy Valentine pairs and your kids can play matching games on your fridge, or you can give each pair away as a special lovey dovey gift. My favorite is the penguin. Probably because I just know lots of cool people.